Orlando Magic center Nikola Vučević is having himself a pretty darn good season in Florida. 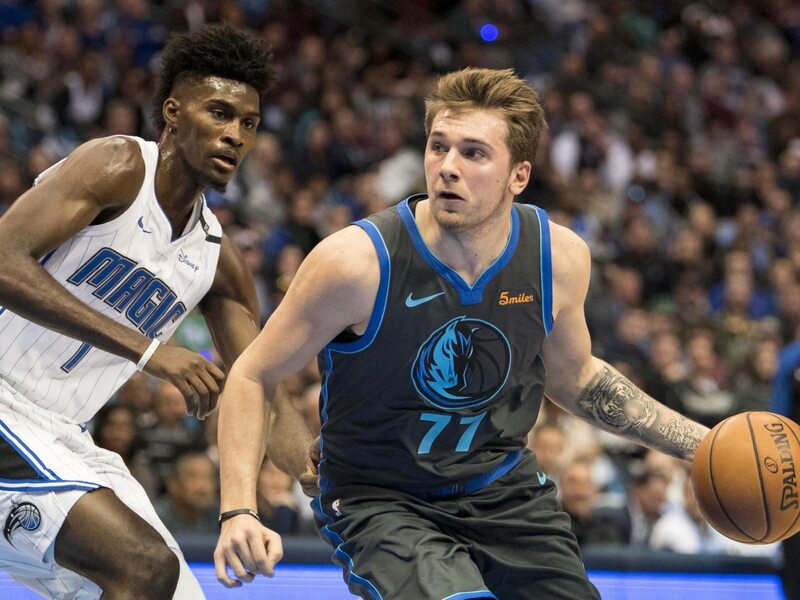 Unfortunately, that didn’t carry over on this one play against the Dallas Mavericks and star rookie Luka Doncic Monday night. With his Mavericks in transition, Doncic hit guard Jalen Brunson on a pass that went right through the big man’s legs. In NBA terminology, it was an epic “nutmeg” assist. Check it out below. Doncic’s ability to make highlight-reel plays on a consistent basis is absolutely surreal. And Vučević fell victim to it in a big way here. The teenager entered Monday’s action averaging 18.2 points and 6.5 rebounds on the season. He now has his first career “nutmeg” assist.